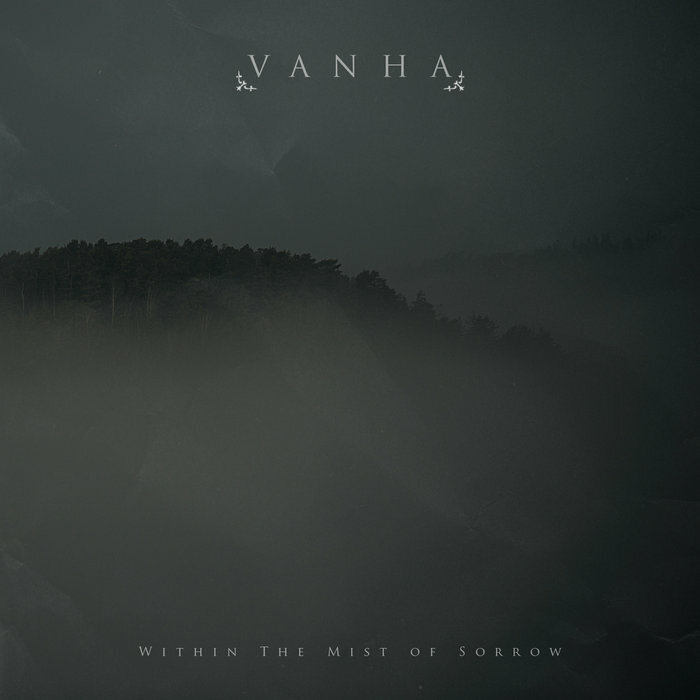 Rooted in the old school doom/death style of the 90s, Vanha combine heaviness, melody and sorrowful keyboards to produce an album that manages to crush both physically and emotionally. Wrapped in emotive sounds, keyboards, piano and even some violin, Within the Mist of Sorrow is a body of work that attempts to fill every second with a lush, gorgeous negativity, the type of which threatens to drag you down so far into its world that you might never come back again. The vocals mainly consist of deep, cavernous growls that sit on top of the rich leads and gloomy guitars like predatory animals warning off rivals. They are really well-performed and have that deeply satisfying quality to them that works wonders with this kind of atmospheric music. Other vocalisations appear here and there, including cleans, but these are very much the exception rather than the rule. Slow, mournful guitars and melodic leads crawl through the playing time, while keyboards add layers of heartfelt misery. The songs are well-written and I find that they easily hold the listener’s attention as the length of the tracks, (and of the album as a whole), don’t outstay their welcome. The songs are depressive funeral dirges that take the 90s style, coat it in a modern veneer, and unleash it on the listener like it was the easiest thing in the world to do. Yes, the music on this album sounds effortlessly produced, which in some ways hides the fact that Vanha are actually really talented at what they do. This is a musical style that’s been done many times before, yet somehow Within the Mist of Sorrow still manages to captivate with its dark, textured beauty. I really, really enjoyed this. I suggest you waste no time checking out Vanha’s dark charms. This entry was posted in Doom and tagged Atmospheric Doom Metal, Death Metal, Doom, Doom Metal, Doom/Death, Doom/Death Metal, Metal, Vanha. Bookmark the permalink.